Jimmy's has been billed as the DC hook to real Buffalo wings and an old time tavern setting. Housed in a 112-year-old building in the historic district of Herndon, Va., Jimmy's is all about evoking a sense of nostalgia for the good ol' days. Those are the days when oak and brass lined the surfaces of taverns, instead of veneer and steel; when a sense of community was still important, and when Buffalo wings tasted like Buffalo wings, dammit. The owners of Jimmy's Town Tavern, loud and proud Buffalo, N.Y., natives, offer each patron a taste of their hometown. 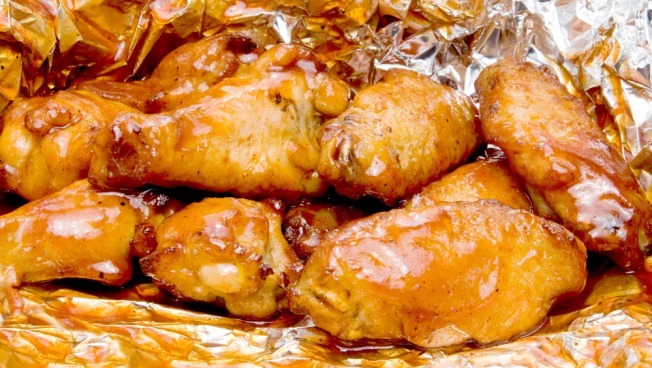 That includes serving up "real buffalo wings" drenched in Frank & Teressa's Buffalo Wing Sauce, as well as other Niagara-area favorites such as poutine, french fries smothered in gravy and white cheese, and pierogi, eastern European dumplings introduced to the region by Slavic immigrants. In the spirit of "the city of good neighbors," Jimmy's promises to "treat everyone like a regular" and show tavern-goers a good time -- Buffalo style, of course. The tavern is host to one of the longest happy hours in the area, 4-8 p.m. Monday through Friday, and an "Ice Luge" that's worked by the Tavern's "ice princesses" on Saturdays.